Paladin Energy has enjoyed record quarterly uranium production and sales despite slower than expected progress at its Malawi mine. Meanwhile, Alliance Resources has confirmed a 16% resource increase at its Four Mile uranium project in South Australia. Paladin's quarterly report for the final quarter of 2009 boasted record quarterly production of 987,310 lb U3O8 (380 tU) from its two operating mines in Africa. Most of this - 841,995 lb U3O8 (324 tU) - came from the Langer Heinrich mine in Namibia, which reached the anticipated production rates for stage 2 of the company's long-term four-stage expansion plan during the quarter. 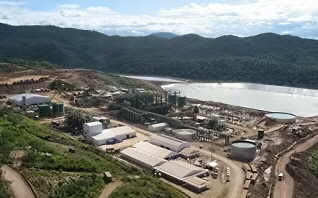 The Kayelekera mine in Malawi, which started production in April 2009, produced a total of 145,315 lb U3O8 (56 tU) for the quarter. Ramp-up at the mine has been slower than anticipated because of problems encountered in the processing plant: specifically, the slow movement of uranium-loaded resin to elution, which has restricted the plant feed capacity. A secondary wash screening facility is to be installed in March or April, but in the meantime, improvements to the existing screening facility mean production should be much improved from the end of January. The Australian company also reported record quarterly sales of 1.095 million lb U3O8 (421 tU) at an average price of $56.54/lb U3O8 and says it has signed a "substantial long term contract" with a major Asian utility covering the supply of over 4 million lb U3O8 (1539 tU), commencing in 2012. The company is also planning a trial shipment of uranium to China to "test and demonstrate the efficiency of logistics from Africa to Chinese conversion facilities." Alliance Resources has announced a 16% increase to its mineral resource estimate for the Four Mile uranium project in South Australia. The resource now stands at some 71 million lb U3O8 (27,136 tU) at an average ore grade of 0.33%. The increase comes from an updated estimate for resources at the Four Mile West deposit, which now stands at 42 million lb U3O8 (16,112 tU) at an average 0.33% grade. The resource estimates include indicated and inferred resources at the Four Mile West deposit and inferred resources at Four Mile East, as classified under the JORC code (one of two standards used internationally in classifying uranium resources: it stands for Joint Ore Reserves Committee Australasian Code for Reporting of Exploration Results, Mineral Resources and Ore Reserves). Four Mile is being developed as an in situ recovery (ISR) project through a joint venture of Alliance Resources (25%) and Quasar Resources (75%), with plans for a satellite ion exchange plant to carry out initial uranium recovery at Four Mile. The uranium-loaded ion exchange resin would then be trucked to Australia's only existing operational ISR uranium project, the nearby Beverley plant, for further processing. All the resource estimates for Four Mile up to now have been made in anticipation of ISR as the only mining method, but Alliance reports that additional mineralization identified above or within about 20 metres of the water table in the western area of the Four Mile West deposit could potentially add up to 30% to the resource if proved recoverable by ISR or mineable by other means. According to Alliance, there is significant potential for further expansion of the resource base with other areas of mineralization awaiting further evaluation and drilling. Commenting on the latest announcement, Alliance Resources managing director Patrick Mutz described Four Mile as a "substantive uranium deposit which is still open in several directions." Will the recent US/Russia nuclear arms reduction put more uranium on the market thereby softening prices?